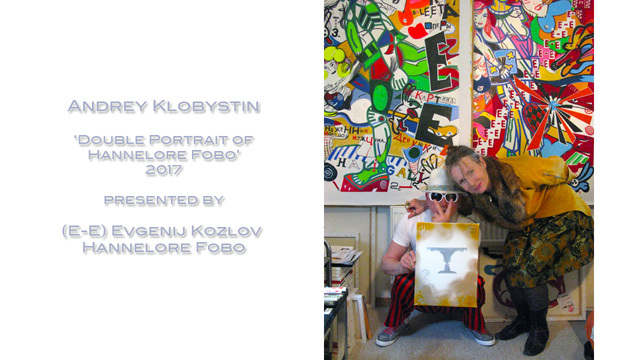 Filmed by Hannelore Fobo 31 May 2017, at Andrey Khlobystin's study, Saint Petersburg. 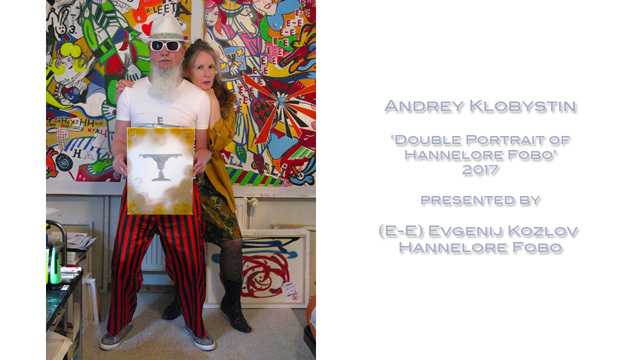 Asked by his artist friend (E-E) Evgenij Kozlov, Andrey Khlobystin draws a portrait of curator and art-collector Hannelore Fobo, which he executes in a Neo-Academist manner – with a double, mirrored profile. 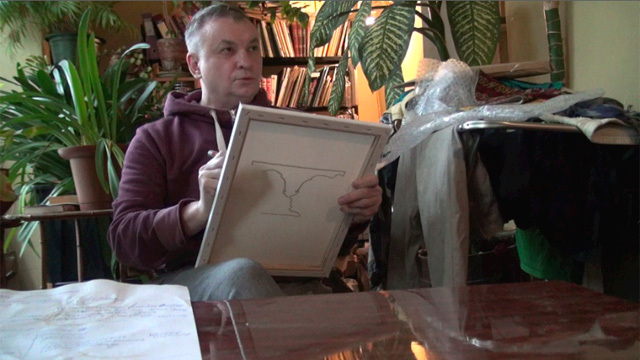 While he is drawing, he is giving a critical account (in Russian) of the current situation of artists and art, defining contemporary art as the ‘art of new barbarism’. 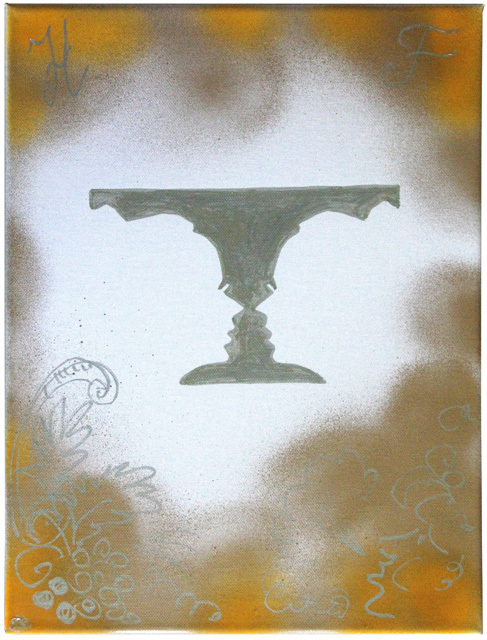 In his new book, Khlobystin, artist and art-historian, dedicates to this subjet the chapter ‘Валерий Черкасов – Народный концептуализм / Valery Cherkasov: ‘Folk Conceptualism’. 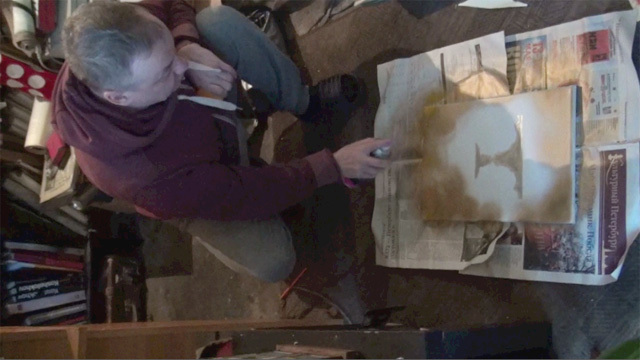 Khlobystin finishes the portrait with a contour applied with gold and orange spray.